Carole Rogin, president of the Hearing Industries Association, a trade group. 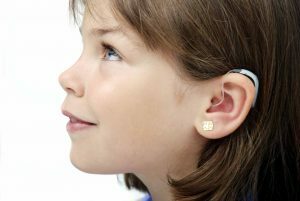 She says the White House panel, which is made up of academics and business executives — including Eric Schmidt, executive chairman of Alphabet, the holding company for Google—is approaching the problem of undertreated hearing loss the wrong way. “There is no evidence that consumers can self diagnose and self-treat,” Rogin says. “You run the risk of serious medical conditions going unaddressed.” The FDA reconsiders hearing aid rules, Bloomberg Businessweek, April 25, 2016. I was always amazed when “experts” popped up and would loudly exclaimed that what we were proposing wouldn’t work. “It can’t work! You don’t know how things are done! ” We would then show them that it was already done and successful and we wanted to do more of it elsewhere. They would then look shocked and embarrassed. They were use to being able to beat back change by claiming how dumb or naive a change was. These were the same experts the organization had long relied upon to guide them through tough management decisions as the company struggled to deliver new or improved products and services. They were experts, I concluded, because they spoke loudly and with authority and could browbeat others who didn’t have as strong a presence or personality. Our trick was we had just gone out and done it. We didn’t ask permission. We got it going, saw the improvements and then as others started to adopt what we did, we let a wider world know what we had done by proposing it to be used by everyone. It was now implemented and working. People were saying how it had helped them. These are two of the typical bad habits that pull down organizations: “it won’t work” and “individuals can’t make decisions.” These positions are generally held by a small group of influential individuals, often considered our best and brightest, and are used to keep control and thus inadvertently strangle innovation and creativity. Once we helped move these folks off their influential perch, the organization would quickly flourish as more people were suddenly able to bring their ideas to fruition. People could readily diagnose and fix problems that some thought only experts could do. What barriers will you need to overcome to get your ideas into use?